With technology being a realm of infinite possibility, it is always a pleasant surprise to learn of someone doing something extra-ordinary in this sector. This week, I turn my attention to two Nigerian brothers who have developed an app that is both innovative and access friendly. 13 and 15 year old brothers Anesi and Osine Ikhianosime have created an Android-based web browsing app that seemingly rivals the power and functionality of Google Chrome. Crocodile Browser Lite was created because of a problem many people around the African continent face: slow browsing. While there are a vast number of browsers available that can be fully customised according to your needs; the area where all of these fall short is that they cater to high-end smart phones and are significantly slower to load data (and frustrating) for feature phone users. The brothers, who are self-taught coders have always had an interest in technology and wanted to create something that is useful for individuals living a particular reality. Remember: Most internet access on the continent is through mobile phones, and a large portion of these phones are feature phones which do not have the same functionality as smart phones. Initially, the browser was available on the Mobango app before it was released on the Google Play Store. Currently, it boasts over 50, 000 downloads on the Play Store as well as many positive reviews giving it an average rating of 4.6/5. Aside from developing apps and coding which is a big part of both the Ikhianosime’s brother’s lives, they also have their own website inspired by the Microsoft Windows platform with which they want to build their own technology empire. Blu Doors is the brothers brainchild and home for their projects. 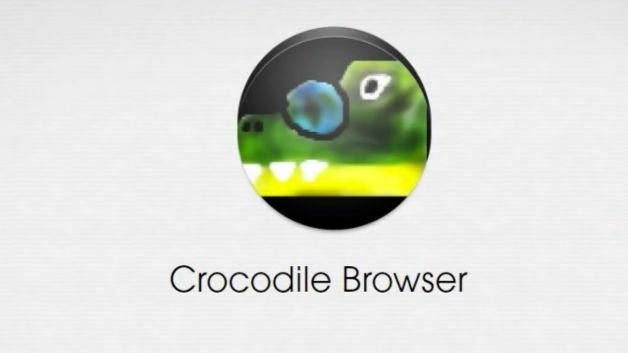 It has details about Crocodile Browser Lite as well as a look into other projects the boys are developing. The most recent is CrocChat which aims to be a fun, smart and private chat application but it is still in its beta stage and will require some patience as the boys work toward developing it further. The brothers taught themselves how to code, and found a need that many people have not been able to address as of yet. What is truly admirable is that they made use of a number of free resources to do something they would otherwise not have access to. “I learnt to code by myself. I started in 2013, I used sites like Code Academy, Code Avenger and books like ‘Android for Game Development’ and ‘Games for Dummies,” said Anesi. The boys hope to study at Massachusetts Institute of Technology in the future in order to broaden their knowledge and gain access to more educational resources.